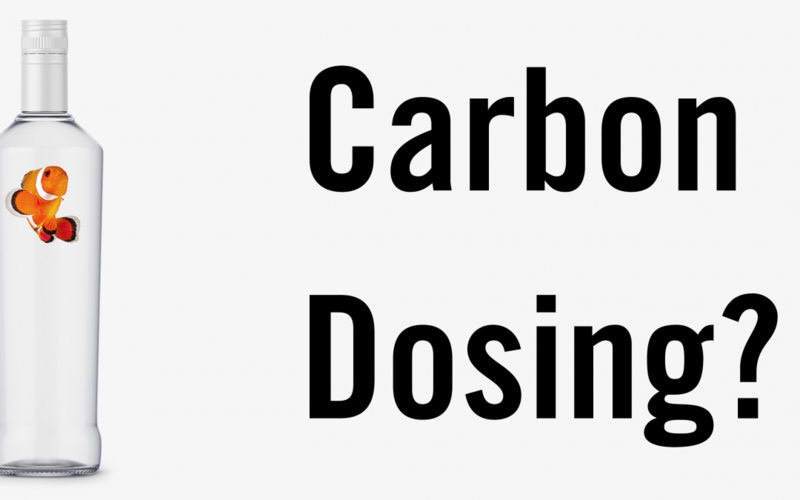 In a nutshell carbon dosing is for the purpose of growing bacteria in order to consume phosphates and nitrates, which are then exported via a protein skimmer. So, don’t consider it for tanks without skimmers. As the bacteria are removed by the skimmer, so are the nutrients that it consumed. I highly recommend dosing of a beneficial bacteria product when carbon dosing so that you make sure to get the good bacteria you want to grow. By using one of the bacteria additives (listed below) you are accelerating the growth of the bacteria in the tank which will accelerate the results of carbon dosing. This is also believed to help avoid cayano or dinaoflangellates outbreaks as the bacteria grown will be able to out-compete the cyano and dinaoflangellates for the carbon, nitrates, and phosphates in the water. I am a believer in vodka dosing. I have never had any problems with it and I sometimes work up to stronger doses than most recommendations I have read. I have also never had a single problem if I miss a day, week or stop cold turkey. I recommend using a commercial carbon source like Red Sea NO3:PO4-X or Brightwell Reef Biofuel before investigating other commonly available products. This will get you used to the process of carbon dosing and then you can consider using less expensive products Including: Vodka; Vinegar; Sugar, Vitamin C, Bio-Pellets. Two Little Fishes Bactiv8; Fritz Turbostart 900; Seachem Aquavetro Seed; Brightwell MicroBacror 7.